Quality is our first and foremost priority. We rigorously select our raw materials to use only quality ingredients, which ensure the quality of our pastries. When it is possible, we work with regional producers to limit our environmental impact. 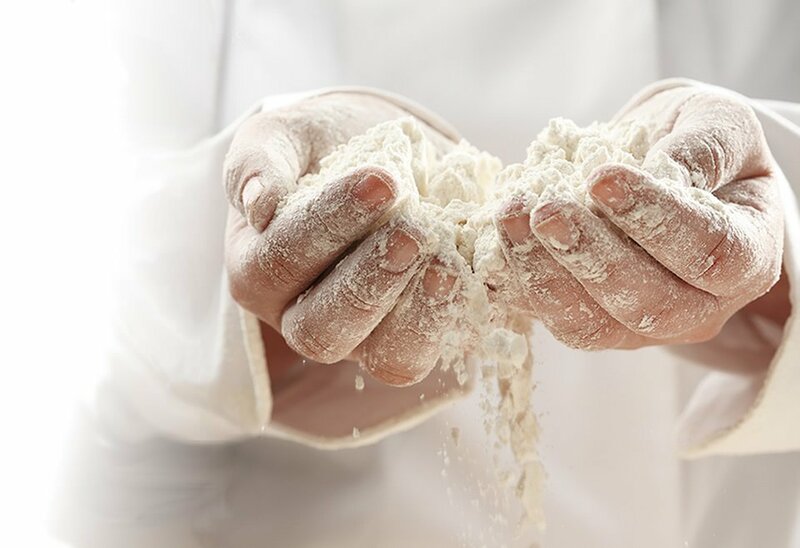 Flour is the main ingredient to make our cakes. Our bakers take great care in the choice of this raw material. We use soft wheat flour which we source in France, less than 400kms from our production sites. We only use fresh eggs in our recipes to guarantee a unique taste and flavor. Gouters Magiques and its brands are committed to stop using conventional caged-eggs and caged-egg products in its pastries by 2022. This desire to participate in animal welfare is an additional commitment of our sustainable development policy. Our approach is implemented in consultation with our egg industry suppliers. By 2022, the egg farming industry will be able to adapt to the new requirements and develop alternative egg farming systems. For our crepe recipes, to offer perfect softness, we have fresh milk delivered every day from nearby farms. Our team of bakers works every day to create delicious recipes, which fit in perfectly with a balanced meal plan. We control the quality of our products at every step of the manufacturing process. Over 100 000 controls are carried out every year. We have a traceability system which ensures the tracking of our entire industrial process, from receiving raw materials to the departure of finished goods from our production sites.